Source e-mailed this photo of Assistant Chief Jeff Long of Hammond P.D. 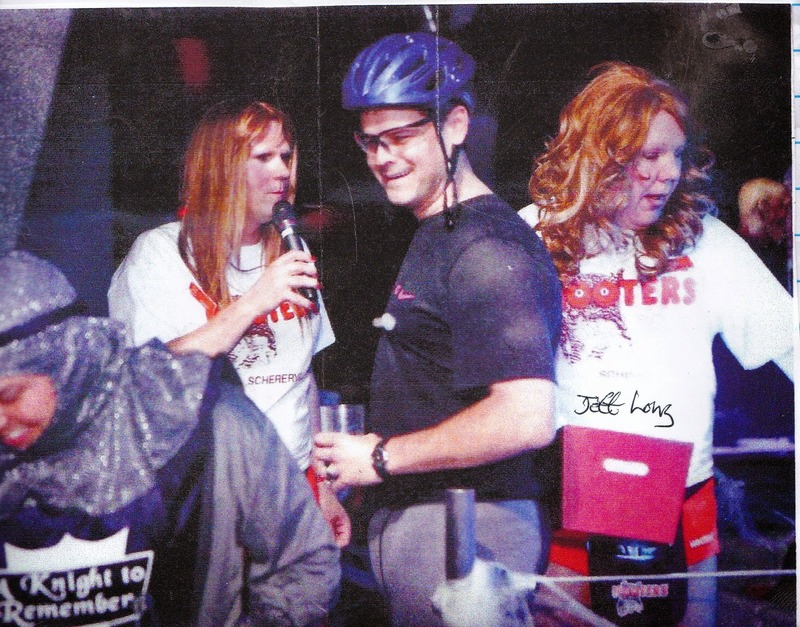 Jeff Long is to the far right with “red wig”, looks like a Halloween party at Club Aquavor. “Politically connected cat” Ray Rapchak who sunk hundreds of thousands of dollars into this night club downtown Hammond. Opening night some “party guy” go drunk at their “grand opening”. 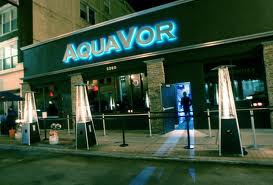 This cat leaves Club Aquauor – if was a “Chicago night club” in Hammond, you feel me? This cat was drunk and gets into a wreck, person dies and family is suing Club Aquavor in a lawsuit, turns out this “cat” who was drunk already had about 8 or 9 O.W.I. 's, you follow me? Across the street is another building with tinted glass. 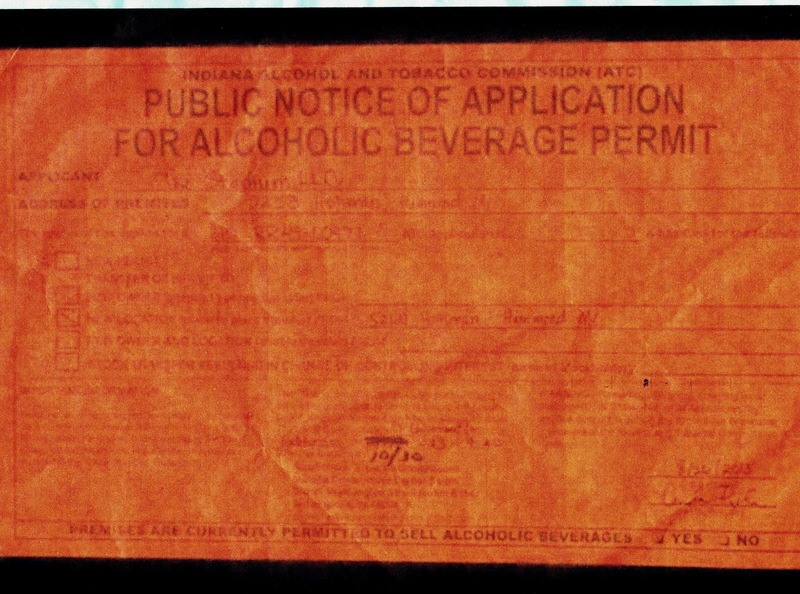 On the door is a florescent pink sign on the door, Latitude commercial real estate – Aaron McDermott, brother of Mayor Tom McDermott Jr., transfer of liquor license is gist of this fluorescent pink flyer on the window. Chief Doughty of Hammond P.D. And Assistant chief Jeff Long paid Lefty a visit at his place of business in East Chicago and this is Hammond P.D. 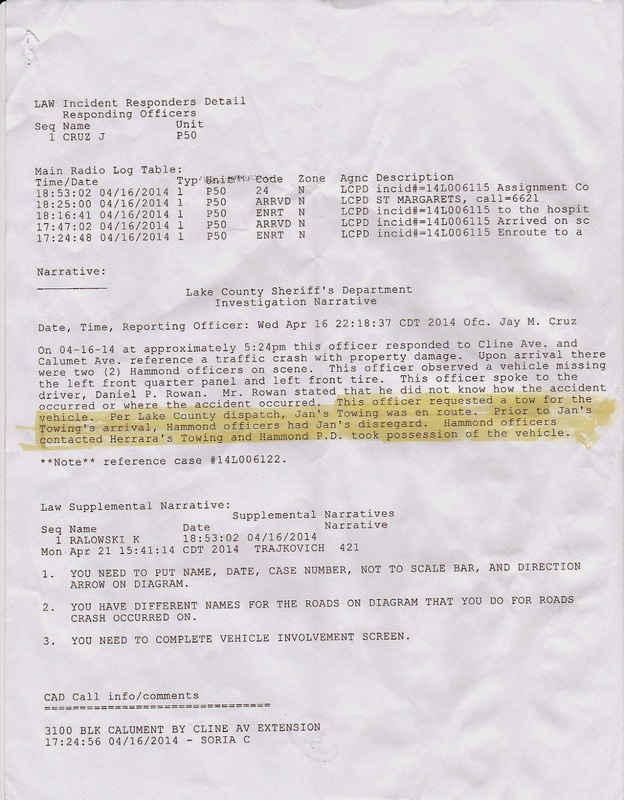 (Chief and Assistant Chief of Police doing Mayor McDermott's “bidding”) This was done under the pretext that Lefty had allegedly threatened Mayor and his wife and family. This what Lefty said. (Hammond crossing into East Chicago) Que Onda? -what's up? Now Lefty is banned from calling in on Mayor McDermottt's weekly Friday radio show. Then Hammond P.D. “bogarts” one of Lefty's “County tows”. Who called that shot, you feel me?